Score try, sign ball, sign camera! 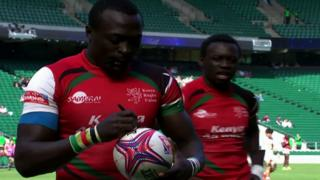 Kenyan Collins Injera celebrates his 200th try on the World Rugby Sevens Series tour by signing the ball with a pen he had hidden in his sock. In a shock result the United States won the tournament at Twickenham for their first ever major title while Fiji took the overall title. 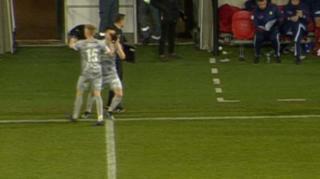 Footage courtesy of World Rugby.